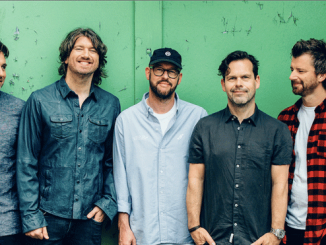 EMBRACE celebrate the 21st anniversary of their debut album, THE GOOD WILL OUT, with a ten-date UK tour in March, including a prestigious show at the London Roundhouse, playing their seminal album in full. Released in 1998, THE GOOD WILL OUT became one of the fastest selling debut albums by a British artist, certified Gold on the day of release and charting at #1 in the UK album chart. The album achieved Platinum status and has gone on to sell over half a million copies in the UK alone. The album spawned three Top 10 singles, ALL YOU GOOD, GOOD PEOPLE, COME BACK TO WHAT YOU KNOW and MY WEAKNESS IS NONE OF YOUR BUSINESS, together with two further Top 40 hits, ONE BIG FAMILY and FIREWORKS. Critically acclaimed across the board, the NME said, “It’s hard to think of any other contemporary group who could match the emotional clarity and wavering romance which pierce the spine of these songs,” declaring THE GOOD WILL OUT as, “one of the great debut albums of the past decade”. 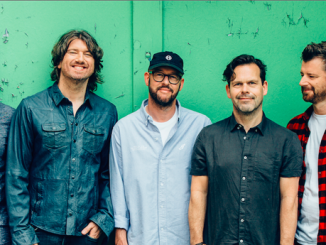 EMBRACE have scored three #1 albums and six Top 10 singles in their career to date, selling over two million albums in the process. The band’s seventh studio album, LOVE IS A BASIC NEED, was released earlier this year and reached #5 in the UK album chart. Tickets for the tour on sale now.